Why using the Mind Mapping (MM) Domain? Mind Mapping is a simple to use way to structure your thinking. The basic structure of a mind map is that of a tree it is a hierarchical breakdown of thoughts, similar to a tree, starting at a trunk and then branching off as detailed as one likes. Use Mind Maps for first analysis off anything, or for taking notes from a book or any capturing a discussion (although IBIS is good for the latter too). See the diagram below for a graphical representation of the domain. A branch of the Mind Map. Any thought that makes sense to the user. Please note that Nodes look slightly different dependent on whether they represent leaves (= no further nodes attached) or not. A Mind Map is a visual diagram type to hierarchically organise information. It is often created around a single topic. Major ideas are connected directly to the central topic, and other ideas branch out from those major ideas. The term Mind Map was coined by Tony Buzan who made Mind Maps popular. See Wikipedia for a good overview of Mind Maps. 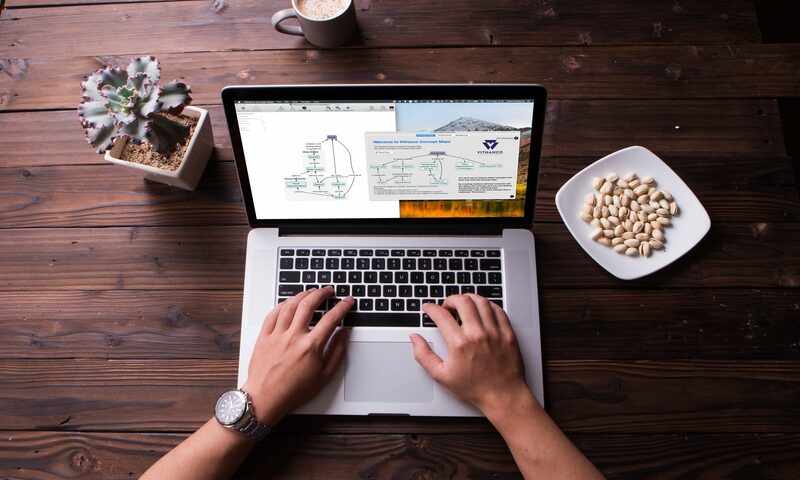 A fine dedicated Mind Map software on the Mac is MindNode.